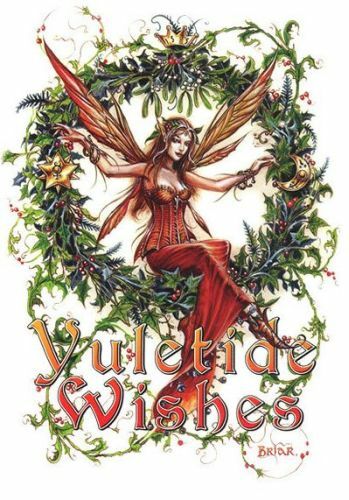 Today is Yule, the winter solstice, the shortest day of the year in the Northern Hemisphere. If you read this within a few hours of its posting, the exact moment of solstice – that is, when the apparent path of the sun reaches its southernmost point – will not yet have happened; that will occur at 17:11 UTC, which is to say 11:11 AM in the Central time zone of North America. Contrary to the claims of Christians, this is the real “reason for the season”; most cultures have holidays celebrating it, and the roots of the celebration we now call Christmas go back at least 5000 years to ancient Sumer. I suspect it actually began about 3900 BCE, when the climate abruptly cooled and dried all over the world, thus creating the first really frightening winters those ancient people had ever known, and stimulating the development of planned agriculture, calendars, centralized governments, property rights and eventually even writing and math (to keep track of who everything belonged to, and just how much of it there actually was). In a very real sense, Christmas is literally as old as civilization, and we owe the majority of what makes us more than just high-falutin’ monkeys to that ancient event that we now only remember in myths of a time when life was easy. The resulting hardships shaped the human world, and though they were perceived negatively by our ancestors (and still are by those who want nothing more than to be kept like pets or “innocent children” by some all-powerful entity or institution), the truth is that existence without change is not life, but stagnation. Winter must come if spring is to follow, and spring must in turn mature into summer and fade into autumn. That is the real meaning of Christmas: though change and death are inevitable, new life to replace the old is never far behind. This poem is performed at Christmas Revels shows around the country every year and it speaks to the traditions you write about. We have two shows today in Colorado (I play trumpet in the pit), which is especially nice since today IS the shortest day – Welcome Yule! Human societies took care of their own from the beginning of our species until the development of economic, social and political classes. You hit it out of the ballpark Maggie! Winter must come if spring is to follow, and spring must in turn mature into summer and fade into autumn. Folks in the tropics seem to manage. But yeah, even there, some things do change. When life becomes easy in some way (plenty of food, warm houses), we just move up Maslow’s Pyramid. If Big Brother meets all our physical needs while restricting our freedom, that freedom becomes much more important than it was when we were starving, or freezing to death. So I guess what I’m saying is that you’re right (which should surprise no one), but I’m not sure that you and I take quite the same thing from it.